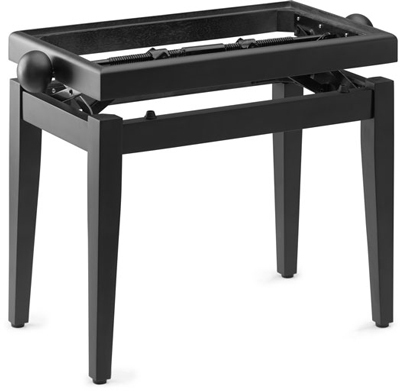 PIANO BENCH BLACK VELVET TOP - Dual cross precision lifting system - Adjustable height: 46 cm to 55 cm / 20 in to 23.60 in. - Top size (L x W): 55 x 32 cm / 21.6 x 12.6 in. - Wt: 7.5 Kg / 16.53 lbs - To be mounted- black matt.PÄÄLLINEN SISÄLTYY HINTAAN.